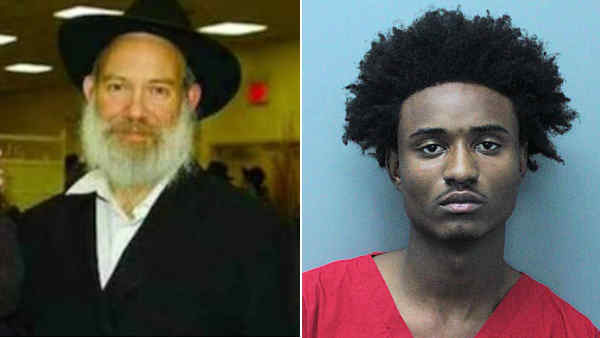 MIAMI (WABC) -- A 15-year-old was arrested in Florida Wednesday morning in the fatal shooting of a Brooklyn rabbi who was killed while walking to Sabbath services last year. The suspect, Deandre Edwin Charles, was taken into custody on Northwest Sixth Avenue at 6 a.m., according to Miami-Dade police spokeswoman Jennifer Capote. Rabbi Joseph Raksin, who was visiting from Brooklyn, was shot as he walked to Bais Menachem Chabad in Northeast Miami-Dade on August 9, 2014. Detectives believe Charles was on a robbery spree when he encountered the 60-year-old Raksin, who did not have any money on him because it was the Sabbath. Charles was indicted by a grand jury on first-degree murder charges.